Professor Michael S. Gazzaniga, author of "Tales from Both Sides of the Brain: A Life in Neuroscience"
The patient sits in front a partitioned screen so that only the left eye can see the word "car" and only the right eye can see the word "key." When asked to say what he can see, the patient says, "car." When asked to choose the object, the patient picks up the key with his right hand. What is going on here? Almost entirely discontinued except for extraordinary cases, neurosurgeons in the mid-20th century split the corpus callosa (singular: corpus callosum) of patients who suffered from severe epilepsy in order to stop the seizures from spreading to both sides of the brain. By cutting this section of the brain, the left and right hemisphere of the brain could no longer communicate with each other as they used to. The operation, while almost always successful in lessening the severity of the patient's epilepsy, had an unintended consequence: it created two functionally independent brains in one head. In his new book, "Tales from Both Sides of the Brain: A Life in Neuroscience," Professor Michael Gazzaniga recounts his lifelong study of split-brain patients. Part layman's guide to split-brain patients and part memoir, Gazzaniga merges life with scientific inquiry to tell the story of split-brain research. 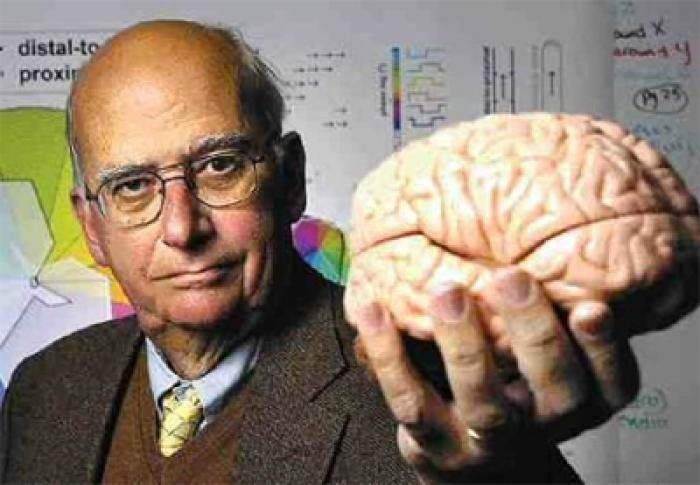 His discoveries over half a century of studies cover the ways that one hemisphere can "self-cue" the other to help it find answers it otherwise would not know to demonstrating that the left hemisphere has a propensity to act as an "interpreter" for the events one experiences throughout life. As seen by the complexity of split-brain patients, can we ever fully understand the brain? Is there something about split-brain patients that makes you question how you view your subjective experiences?